Under the large pressure of the use cases, the 5G system has to include a new set of solutions which address directly the localized deployment. This includes dense urban areas where a very large network capacity is required (such as stadiums, fairs, train stations) as well as specialized local deployments for the vertical markets (such as factories, construction sites, event logistics networks, hospitals, supermarkets, enterprises). 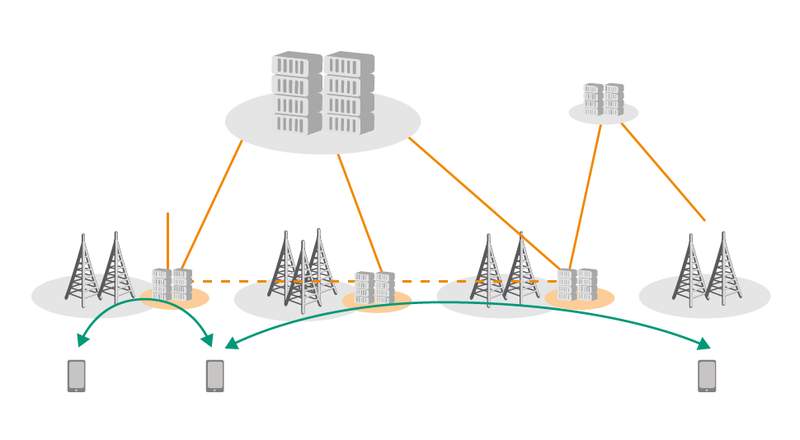 Furthermore, to be able to connect different edge connectivity islands with central locations and between them, a new SD-WAN prototype was implemented able to filter data traffic and forward it across the momentary available backhaul networks: fixed, public MNOs or satellite.